Good teamwork can “move mountains” that is in our case - wood transportation and sale. Team work style allows you to expand your territory and to enter new market. The head should think and hands should work. We test on reliability and we value each employee of our company. Each our group is responsible. We trust our staff and our customers trust in the name of Baltic Timber. 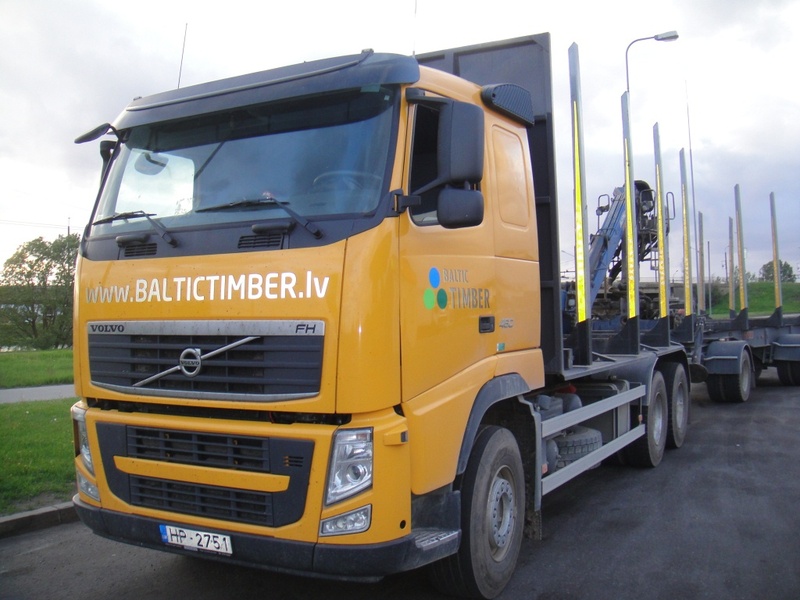 The company Baltic Timber signed long-term contract for the supply of timber from the Volvo TruckLatvia. Timber carrying vessels were purchased in 2008, and the newest were purchased in 2011. We are proud of timber carrying vessels and drivers who run such available technique. Volvo technology can be trusted valuable cargo in all weather conditions. At the moment the team of drivers led by Sergei Konstantinov and Sergei Isayev - works like a watch - 7 days a week. 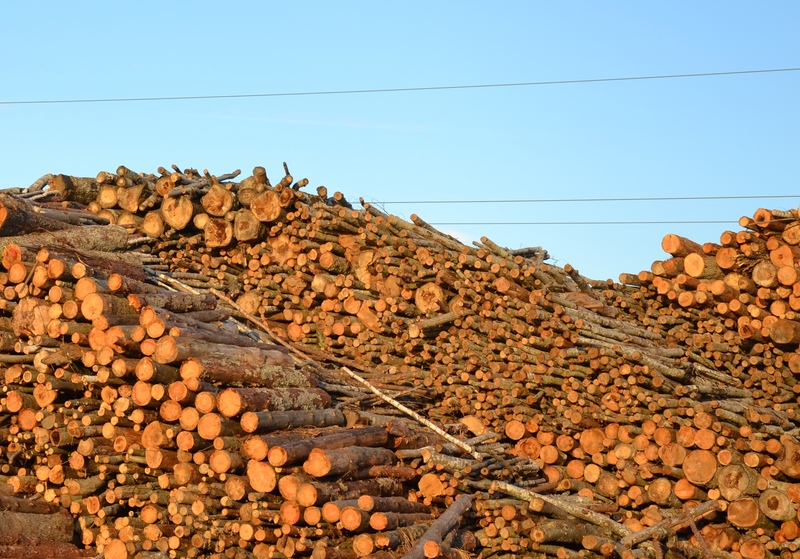 Baltic Timber regularly exports logs to the countries of Western Europe. 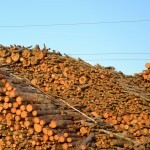 Proper sorting and distribution of wood allows you to keep competitive prices. 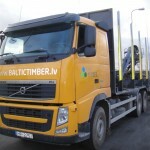 The company Baltic Timber has its own vehicle fleet and can provide materials on time and in the correct amount. We are open for cooperation and new contracts. Minimum quantity of logs to send – one timber carrying vessel (about 45m3). 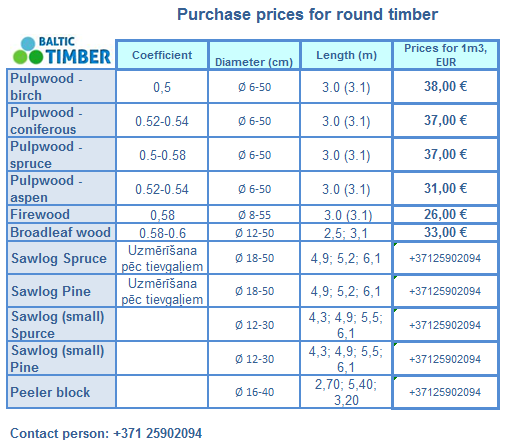 Baltic Timber ensures that the price = quality.